If the influencer has worked with brands recently, we'll let you know by adding an #AD symbol to their post. This is useful for seeing how past campaigns performed with this influencer (or if your competitors have worked with them before). 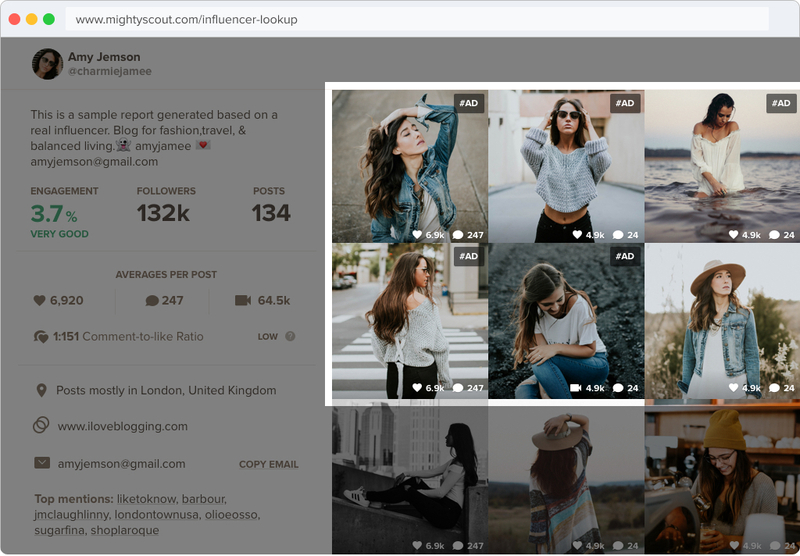 Check out the sponsored post's comments to see how engaged their audience was and how the influencer represented the brand or product. The more back and forth dialogue the better. 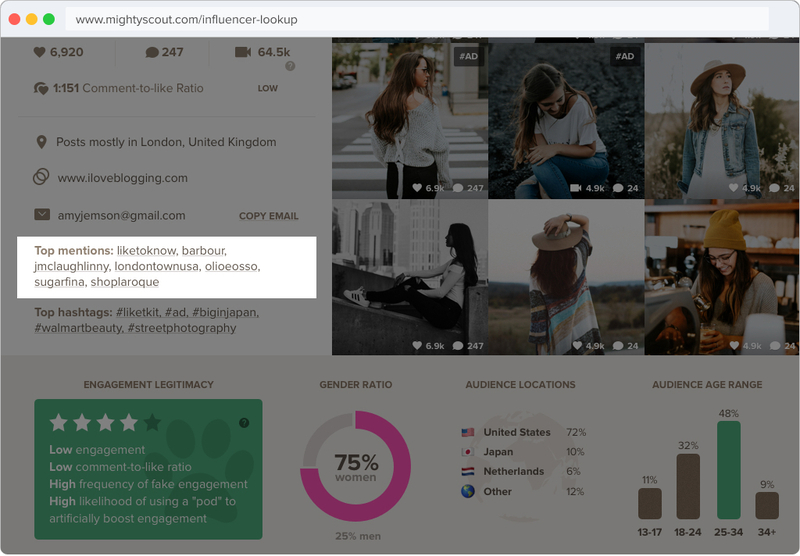 MightyScout weighs an influencer's average engagement with the number of followers they have. So accounts with fewer followers are expected to have higher engagement and vice versa. 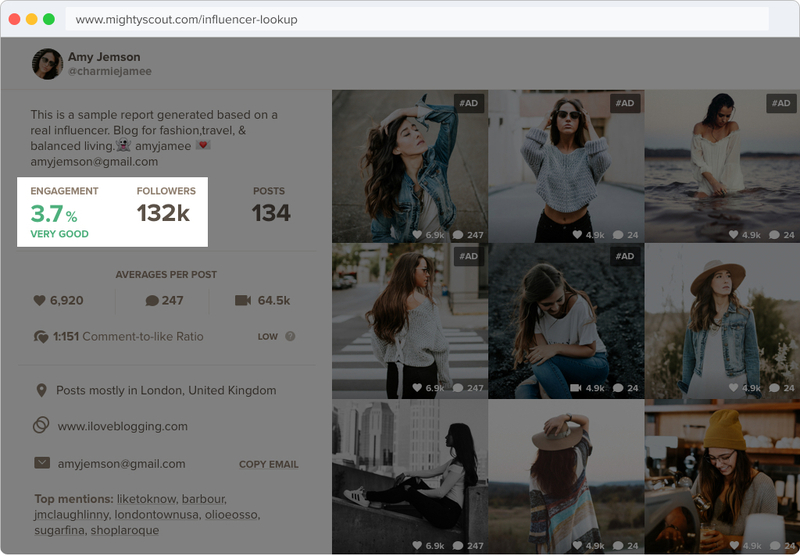 We have a built-in indicator that lets you know if the influencer's average engagement is “good” or “very good” relative to how many followers they have. Like engagement, we weigh an influencer's comments to like ratio relative to their follower count. 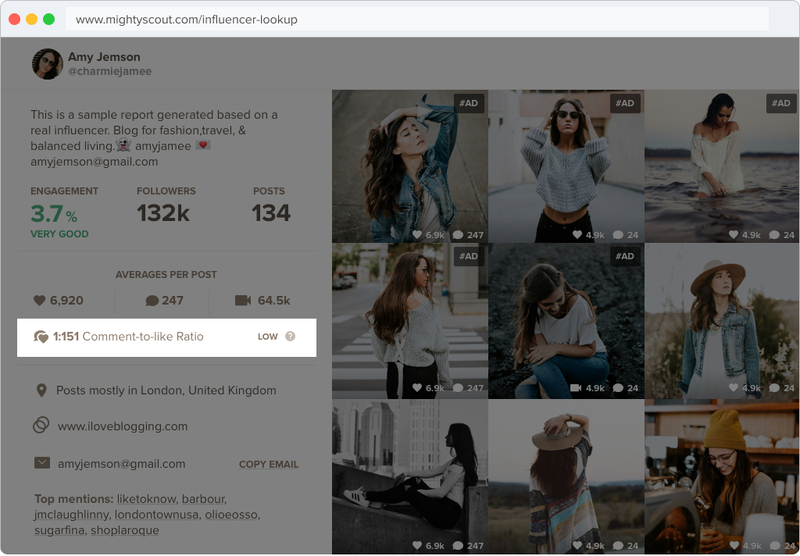 This ratio helps determine whether an influencer has a highly-engaged recurring audience and/or typically posts engaging content. A high ratio (e.g. 1:200 as opposed to 1:20) is an indication that the influencer's audience isn't strongly engaged with their content. Every brand is different and seeing who an influencer commonly mentions is one way to check if they align with your brand image (ex: they often mention Prada and Gucci and you sell high-end fashion products). 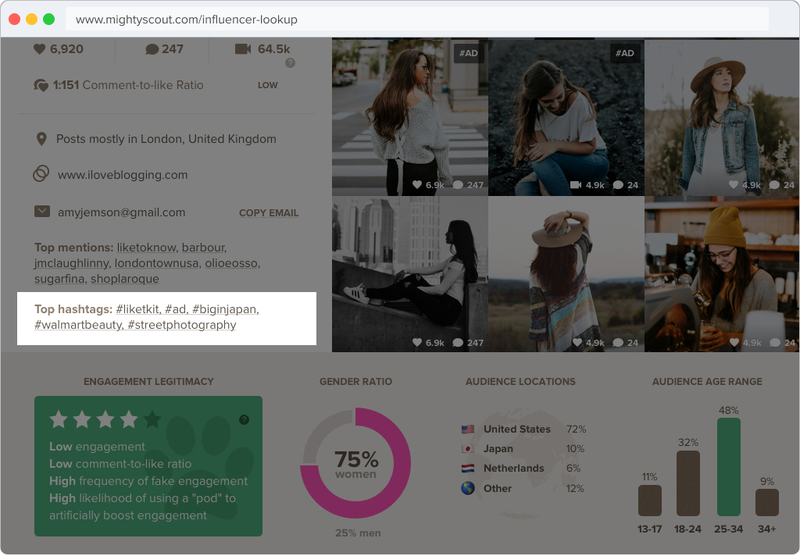 Top mentions can also be used to find other influencers that could be a good fit for your next influencer campaign. Hashtags show other potential topics that you could creatively target to get in front of your potential audience or for use in your own Instagram posts. Like top mentions, brands also use hashtags as an indicator of how well the influencer aligns with their brand image. Finding influencers for a campaign can be tricky when the campaign is location-specific. 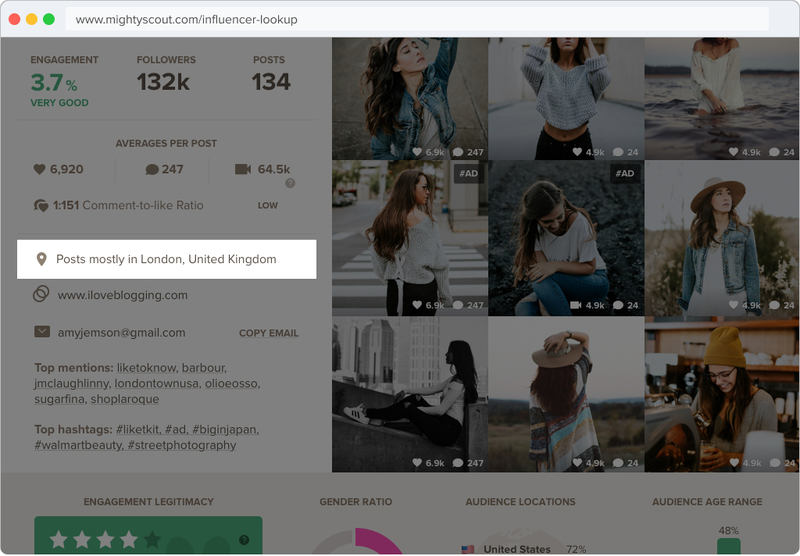 We've built some ways to identify where an influencer might be from, mostly using their posting locations, so you don't have to dig in yourself. 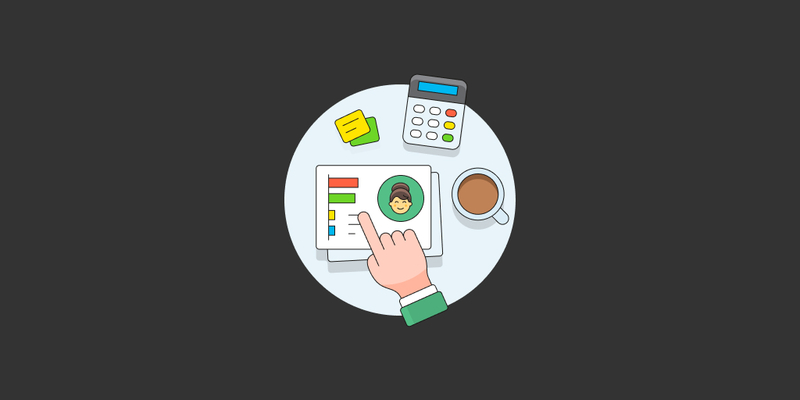 We hope the information above helps you scout better influencers for your next campaign! 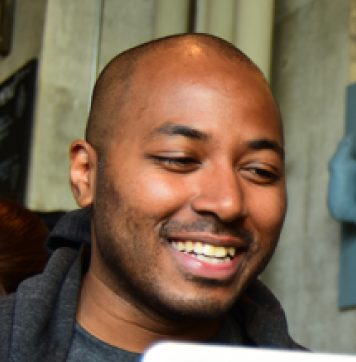 We're always experimenting with new features, tools, and data-driven content and you'll be the first to hear about it. For example, want to know which brands grew the fastest on Instagram in the past 15 months and the things that set them apart? Sign up for our newsletter below.